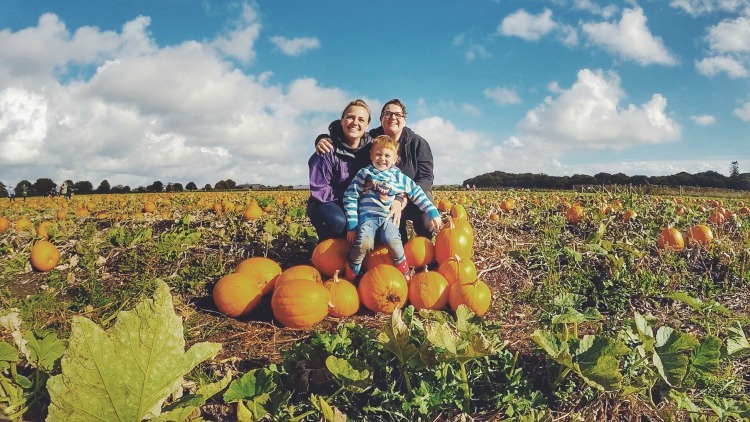 Last year we started a pick your own pumpkin tradition with our friends. 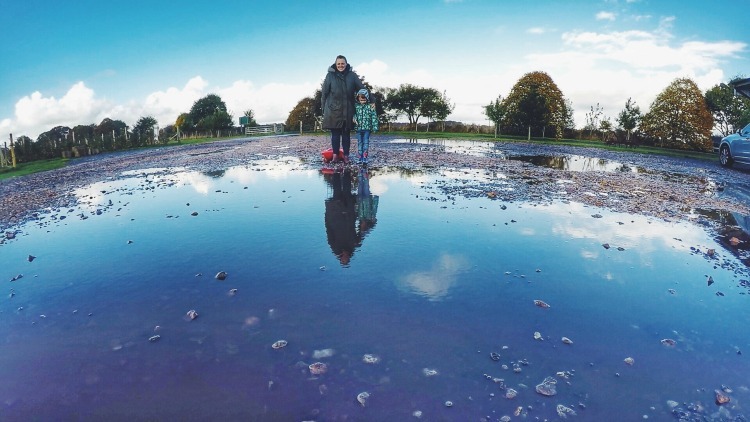 We visited Sopley Farm with them and enjoyed it so much that we arranged to visit again this year. 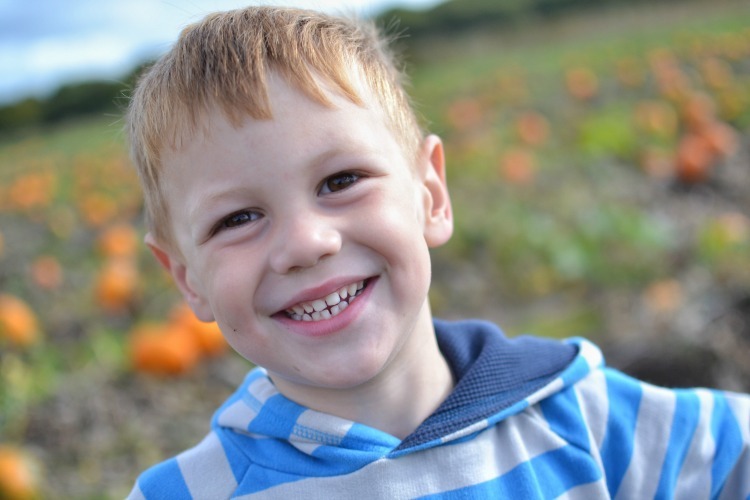 Both our boys are the same age and are quite content when racing around discovering pumpkins, which is really nice to see. 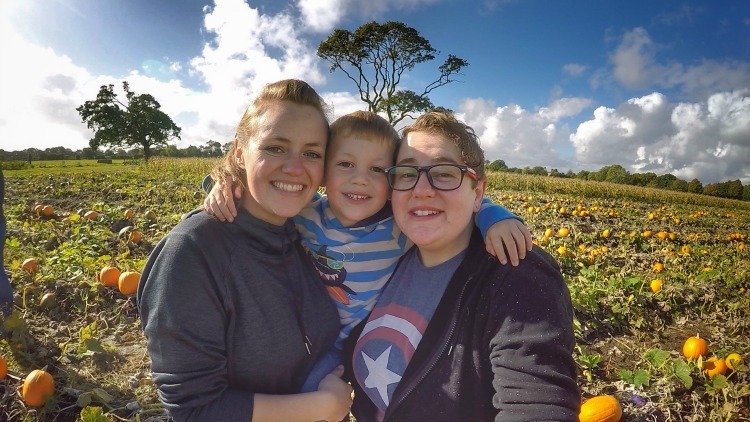 It also means we get to chat and catch up whilst they compete to find the biggest pumpkin. 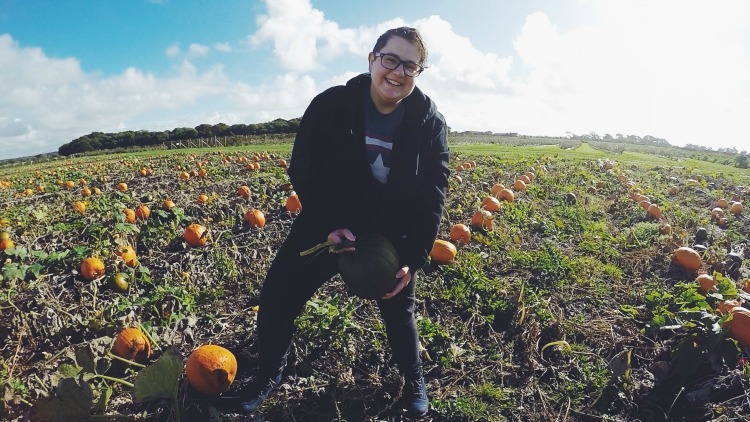 The pick your own pumpkin patch at Sopley Farm is huge and had even more pumpkins than last year. It wasn’t hard to pick the pumpkins we wanted to take home to carve and in fact we ended up putting some back as there were SO many great ones to chose from. 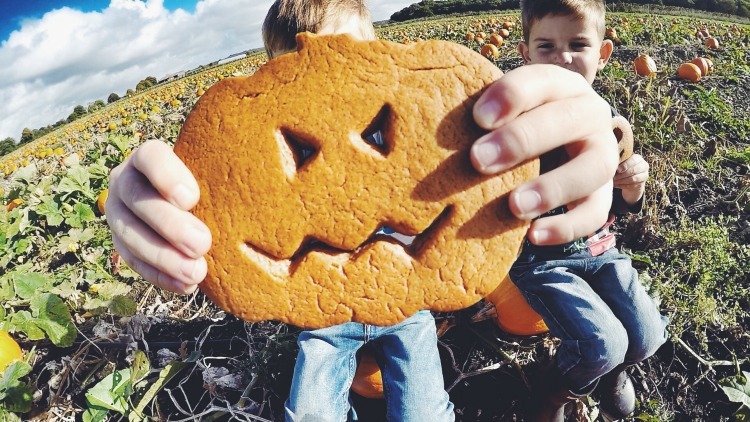 We bought the boys some rather awesome pumpkin cookies from the farm shop and enjoyed snapping photos of them jumping and giggling among the gorgeous orange. We even got involved with the fun, plus made sure we took plenty of family and group photos as it is so nice to capture our annual traditions. I love seeing how much the boys have grown in our group shots. I adore this picture of our little pumpkin kings. I wonder how many years we can keep them posing for us. 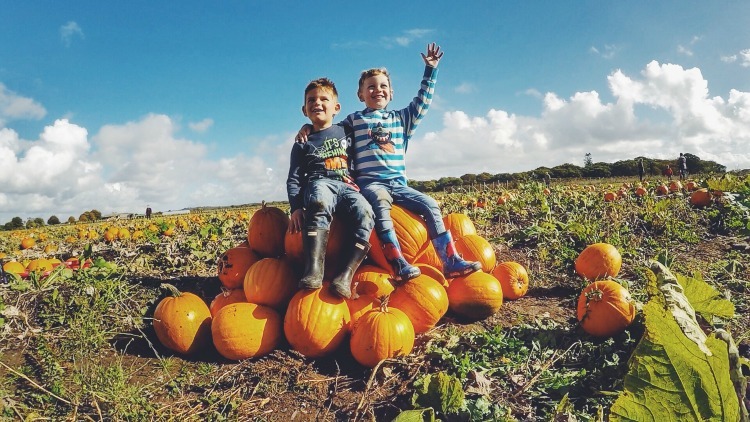 We ended up having a fab couple of hours, the sun shone despite it pouring as we arrived, we laughed lots, got muddy and now have two fab pumpkins to carve. 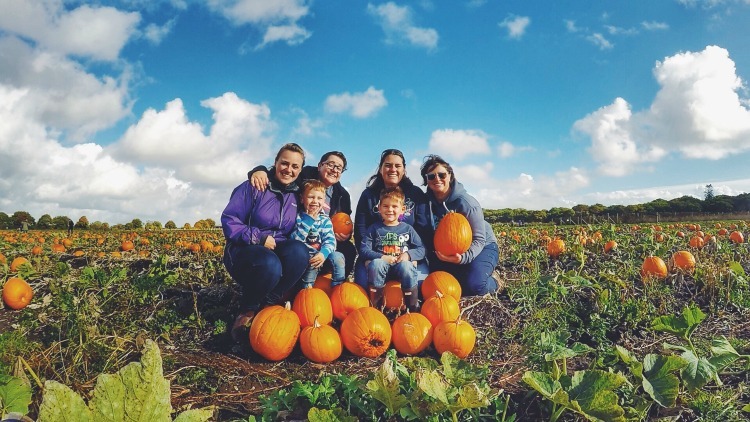 If you can get to a pick your own pumpkin patch this year, then do, it’s great to support a local business. If you don’t have one local, make a day trip out of it. 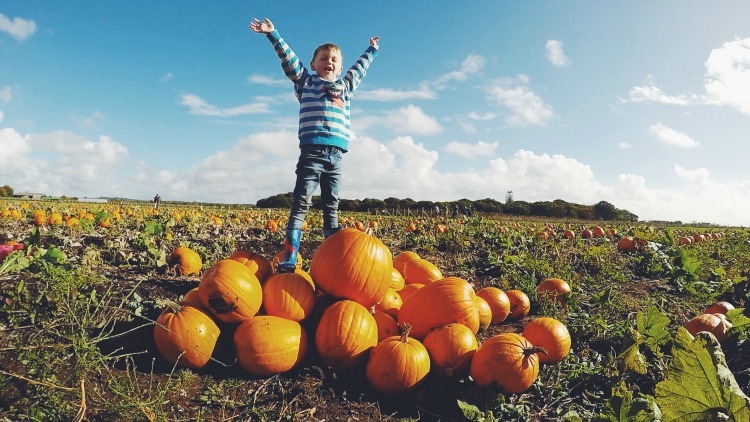 You can’t beat a pumpkin you have picked yourself! 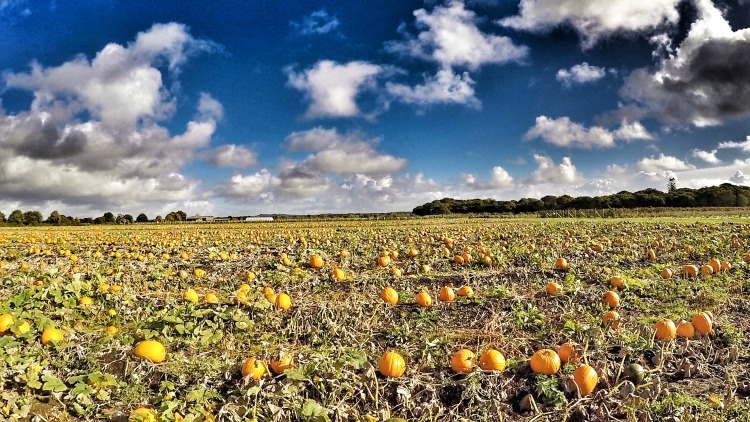 Have you been sharing lovely pumpkin patch pictures on Instagram? Leave us your usernames in the comments below, we would love to take a look. "Happy to have you back"
I love all your Pumpkin photos. It looks like you had such a fun time and lovely to go as a group too and for the boys to be able to play together. I am really enjoying seeing all the pumpkin posts these last couple of weeks. I only feel sad that I have yet to find one in Cornwall.